There is nothing more dangerous than a well-prepared teacher. Take a motivated teacher, armed with good resources and a desire to make difference. It’s more than a desire to help students engage in the process of learning a new language. There’s a bigger dream. It’s the secret hope of showing students how to become wise. Sure, it’s a big dream. But, isn’t that what good teachers do? Here’s the dangerous part. There are lots of problems in the world. Heck, that’s certainly true where I live. What can teachers do? Don’t just teach your subject in the class. Do more. Aspire to teaching knowledge, problem solving and critical thinking. Therein lies the danger. There’s nothing more dangerous than people who can think for themselves. Teaching need not always follow the book. I believe teachers can make learning fun, challenging and dangerous all at the same time. It just takes verve and a few good resources. I’ve got the resources. Did you bring your verve? 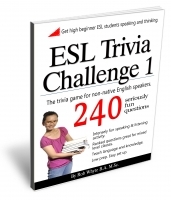 GET ESL TRIVIA CHALLENGE VOLUME 1 – NOW! It’s only $2.99 USD. Dirt cheap. C’mon, you get oodles of classroom activities that build language skills and knowledge for the price of a couple of hot dogs at Costco. After payment has been confirmed, you get instant access. I send you a message and you download the pdf file. Here’s my promise. Try it risk free for 7 days. If you don’t like it you can get a full refund. Does Costco offer a refund on their hot dogs? Buy with Paypal or a credit card. Hit the ADD TO CART BUTTON and get ready to buy another ebook or complete your purchase. Walking down the path to knowledge and wisdom, I’ve noticed that my students don’t know much about the world around them. A function, I suppose, of having their noses continuously pointed at some sort of electronic device. Their knowledge is even less when it has to be communicated in English. That’s why I created this trivia game. ESL Trivia Challenge Volume 1 builds English fluency skills and imparts knowledge at the same time. It also makes my job as a teacher a little bit easier because the lesson prep is so simple. 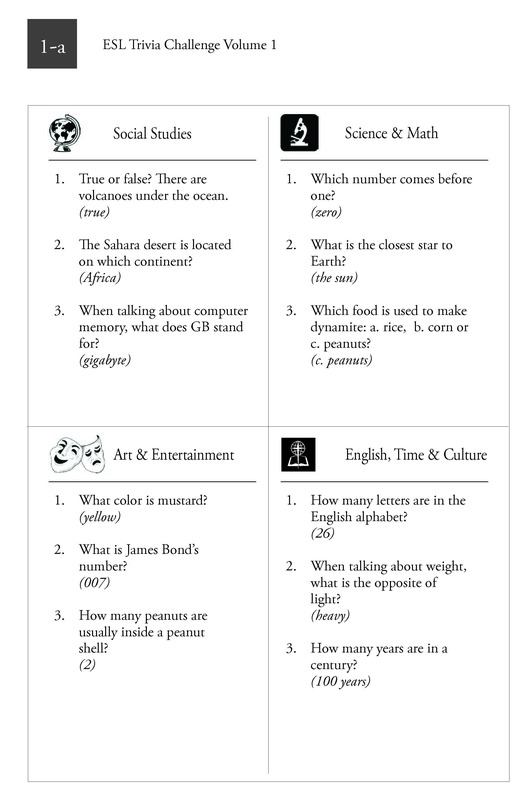 This is a unique trivia game because the questions were written for non-native speakers. No obscure questions about 1970 American TV shows here. No oddball grammar questions. So, the content is related to the students’ experience, comprehension level and scope of knowledge. Each page has ranked questions, from easy to hard. So, students of all levels can participate. I really like this part of the game – it’s inclusive. Nobody feels left out because the questions are too hard. Chinese firewalls might prevent you from downloading the pdf file. No worries. Buy the ebook and if you can’t download the file, send me a message. After confirming payment, I will send you the files by e-mail. 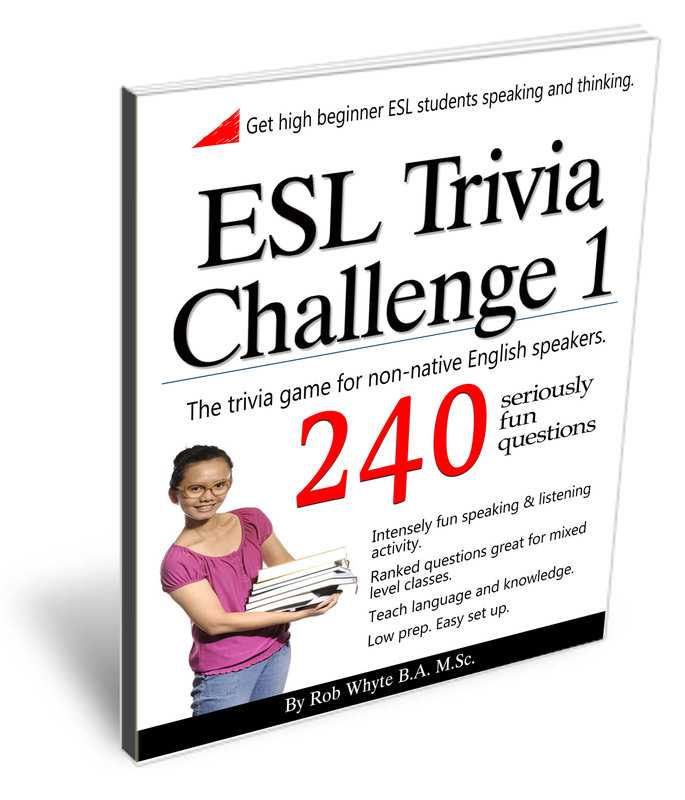 ESL Trivia Challenge works well in classrooms, and private tutorials. In private classes, teachers can use one page per class. That’s a nice 10-minute diversion that keeps the class fresh and helps develop the student’s general knowledge. With 20 pages of questions, you get 2-5 months of material. Here are two suggestions for classroom play. There are 20 pages with just questions – no answers. 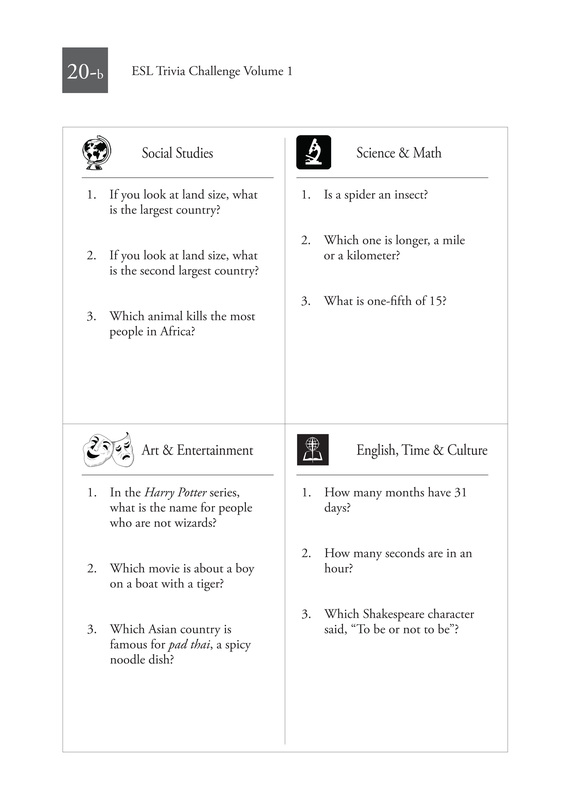 These work well as a class activity, say with the questions projected on a large screen. Game play is simple. The student answers a question and gets points: easy questions 1 point, medium 2 points and hard 3 points. For a 50-minute period, I usually require the winning team to get 30 points – with at least 6 points per category. But honestly, the students usually love the game so much, they stop thinking about the total points. They just battle to answer each question. 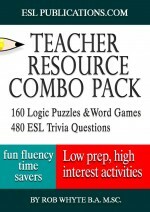 240 classroom-tested general knowledge questions designed for high beginners. 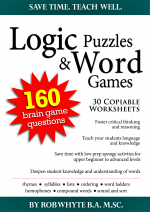 20 pages of questions and answers (great for small group work). 20 pages with the same questions – but no answers. A useful format for homework or a whole class sponge activity on the classroom projector. 3 levels of difficulty (from easy to a little challenging), so students of all English skill levels can participate. 1 pdf file formatted for A4 and 8.5 by 11 inch printing. Written by Rob Whyte, a battle hardened warrior with 15 years’ teaching experience in South Korea. It’s only $2.99 USD. After payment has been confirmed, you get instant access. I send you a message and you download the pdf file. Here’s my promise. Try it risk free for 7 days. If you don’t like it you can get a full refund. Buy with Paypal or a credit card. Click the ADD TO CART BUTTON and get ready to buy another ebook or complete your purchase.